Collaboration Projects–Good Idea or Destined for Failure? The road to publication is long, arduous, and wrought with gray areas. Who’s advice do you follow? How many changes can you make without losing your story and voice? Imagine receiving personal advice from an editor. It’s exciting, and nerve-wracking! It means your novel has gained enough interest to warrant their attention, but it’s in no way a guarantee of publication. Today Anne Mateer shares her revise and resub story. I hope you’ll find it informative and encouraging. I sat across the table from a Bethany House editor, the two of us alone in a room while most other conference attendees sat listening to the keynote speaker. A month earlier, I’d sent the full manuscript of my novel, which she requested after seeing the beginning of it in the finals of the Genesis contest. My heart pounded and my hands twisted in my lap. A simple rejection would be done via email, not face to face—right? We chatted. She set me at ease, telling me how much she enjoyed the story, the characters. My heart thumped harder. Was this the moment I’d been waiting for my whole life long? She slid a stapled set of papers toward me. She and a couple of other editors had read through the book. And while they liked many things about it, they didn’t feel it quite ready yet. My heart sank into my stomach, then seemed to slither onto the floor in a puddle. A rejection after all. The pages she handed me contained a run down of things they like about the book and things they felt weren’t quite up to par. Could I revise it and resubmit? She asked. Of course there are no guarantees, she continued. I worked to keep my excitement in check, reminding myself this did not mean if I did the work I’d receive a contract. But I quickly realized the amazing opportunity that had been handed to me. Some of the best editors of historical fiction in the business had given me feedback on my book. Not just on a few opening pages, on the entire story! Whether or not my revision resulted in a contract, they were essentially offering me the chance of a lifetime—an advanced class in publishable historical fiction. Holding tightly to this idea, I plunged into my manuscript, working on the issues they’d identified. More than anything, I wanted to grow as a writer, not to squander this opportunity to learn. With that as my goal, I finished the revision and resubmitted. No, it didn’t result in a contract. At least not at that moment. There were more tweaks before they felt it ready to go to pub board. At times I despaired that it would ever meet their mark, but I persevered, determined to strengthen my writing muscles. After a grueling six months of work, the editor called and offered a two book contract. I could have opted out of the initial opportunity. But if I had insisted that I wouldn’t do the revisions without a contract (or at least the promise of one), I would have missed out on some amazing things—like understanding how to work with an editor, learning how to shore up problem areas of the story and honing my craft for its own sake. And while the contract itself was an awesome reward at the end of the process, the experience of revision and resubmission beforehand was a priceless gift from the Lord that I will always treasure. Anne Mateer worked over ten years on the craft of fiction before seeing her debut novel, Wings of a Dream, in publication. Her second book, At Every Turn, releases in September of 2012. Anne and her husband of 25 years live in Texas. They are the parents of three young adults. Visit her online at AnneMateer.com, follow her on Twitter, or connect via Facebook. Rebekah Hendricks dreams of a life far beyond her family’s farm in Oklahoma, and when dashing aviator Arthur Samson promised adventure in the big city, she is quick to believe he’s the man she’s meant to marry. While she waits for the Great War to end and Arthur to return to her so they can pursue all their plans, her mother’s sister falls ill. Rebekah seizes the opportunity to travel to Texas to care for Aunt Adabelle, seeing this chance to be closer to Arthur’s training camp as God’s approval of her plans. But the Spanish flu epidemic changes everything. Faced with her aunt’s death, Arthur’s indecisiveness, and four children who have no one else to care for them, Rebekah is torn between the desire to escape the type of life she’s always led and the unexpected love that just might change the dream of her heart. We’d love to hear from you. Do you have any revision stories you can share? Any feedback from editors, agents, or crit partners you found especially helpful? What about when you receive conflicting advice? How do you sift through all the suggestions competing for your attention? My prayer started like this: God, I want to be a writer. After writing for our church newsletter, God reminded me I was a writer. I rephrased my prayer: God, I want to be a published writer. Several free article websites and blogs later, God reminded me that I was a published writer. Next prayer: God, I’d like to be a paid published writer…Maybe I wasn’t being specific enough. Or maybe God just has a better sense of humor than I give Him credit for. We are interested in seeing your proposal for Journey of Grace: a New Beginning. After my heart returned to its regular rhythm, my emotions ranged from thrilled to scared to amazed. My first novel had gained a publisher’s interest after only a few submissions. The new indie publisher, Written World Communications actually read my query and wanted to see more. Their imprint Harpstrings’ editor at the time, Rowena Kuo, gave my information and three chapters a good edit and returned it with a cartridge’s worth of red ink. She suggested several ways to improve my manuscript like more showing and active verbs. Ms. Kuo then offered to review my entire manuscript after I made the corrections. I worked at fever pitch to rework whole sections of my manuscript. Along the way, I met a freelance editor through the ACFW who helped me with the edits, easing my job and teaching me much along the way. Two months later, I delivered my newly worked “baby” to Ms. Kuo where it received a good review at the publication board before ultimately being rejected. Ouch. I took time to recover after the entire process, sifting out the good from the disappointment. I’d made new friends with the freelance editor and Ms. Kuo, besides improving my manuscript ten-fold. I had also met deadlines and received much practice with edits and rewrites. Ms. Kuo also expressed an interest in seeing any short stories I’d written for their magazine, Harpstring. After several email conversations, my first short story, The Black and White Arm was published in the summer 2011 issue. In December, the winter 2011-12 issue of Harpstring ran my second short story, Finally Home. The moral to this story? God has his own way, timing, and plan that far exceeds anything my finite mind can imagine. He’s called me to this dance, but only if He leads. When I follow him, He takes me to places unknown, meeting people, and experiencing life and wonder as never before. So much good from a rejection. 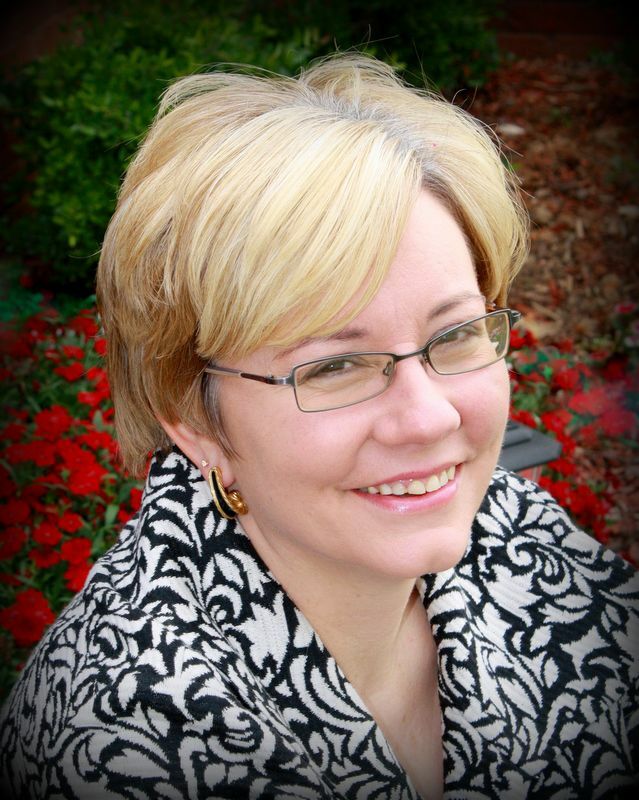 Jennifer Hallmark is an author and women’s ministry consultant. She has a website, http://www.jenniferhallmark.com, and blog, jenlhall63.blogspot.com. Her first novel, Journey of Grace: A New Beginning, is currently searching for a good home. Jennifer resides with her husband Danny in Alabama and loves her family, her dog Max, and coffee shops, in no particular order. 1) Don’t take it personally. There are countless reasons why a publisher or editor turns down a novel or piece. Perhaps they’ve recently published something similar. Maybe it doesn’t quite fit their style or mission. Or perhaps you’re just not ready. Think of it as a marathon. Don’t expect to cross that finish line if you haven’t logged the miles. 2) Use it as a learning opportunity. It’s easy to justify our writing, to find reasons to discount feedback we’ve received, but justification leads to stagnation. Honest, informed evaluation leads to improvement. 3) Draw near to God and seek His guidance. If you’re on the wrong path, writing a story that’s not quite right for you He’ll redirect you. If you’re following His lead, He’ll encourage you. Either way, He knows exactly where He wants to take you and when and how you’ll get their. 4) Read and gain encouragement from stories of how other authors found publication. Most often, you’ll find it was the result of years of sweat, insecurity, and tears. 5) JOIN A CRITIQUE GROUP. As iron sharpens iron, right? What about you? Do you have a rejection story you can share? One that stung initially, but later turned out to be a blessing? We’d love to hear it! A while back a FB friend suggested a story idea. I loved it! But decided to put it off–relegate it to third place on my “must-write” list. God had other plans and sparked a passion and a swirl of plot ideas. Knowing this would be a tough story to write, one that would take intensive research to do well, I prayed for confirmation. I received it, along with help. Extensive help, and on Wednesday I spent almost four hours picking the brain of a medical professional with the same job as my heroine. While she began to share her story and experiences, I began to see why God wanted me to write this novel. If done well, it will be a powerful tale of grace during extreme suffering, of hope amidst despair, and of good brought out of evil. Last night, after watching a sitcom on a topic relevant to my story, pen in hand, spiral notebook quickly filling, I got frustrated. The phrase, “Write what you know,” wouldn’t leave me alone. What do I know about medicine and hospital rooms? Why dive into a story that could very well take over a year to research? One that could easily lead to failure if God doesn’t provide continual understanding and aid? Because I believe God’s in it, and although He promises to lead us, I don’t believe the journey’s always easy. But He ALWAYS provides people to help us along the way. That’s the part that continues to amaze me. In June I wrote a duel-setting story about a news anchor, an El Salvador orphan, and an El Salvador English teacher/translator. Three subjects I know very little about. Two chapters in, I considered dropping it. Too much research, and what if I got it wrong? But God was faithful. He connected me with a news anchor, with people living in El Salvador who could answer questions, with a critique partner knowledgable on foreign settings, with another critique partner knowledgable on medicine. (My hero’s father had a medical issue.) And He carried me through. So now I’m embarking on another, and this one’s my hardest yet, but I’ve got the memory of God’s help with my past novel to spur me on. I’m also beginning to see sprinklings of help, of the body of Christ coming beside me to offer information, to do beta-reads, all those necessary things we writers hate to ask for but need to find. Which reminds me, even in a solitary career like writing, God still wants us connected, as a body. Interdependent, working together to make Him known. I’m starting to see Proverbs 11:25 in action. “… he who refreshes others will himself be refreshed.” It’s a beautiful cycle only God could work out. One author helps another, who helps another, who helps another. Where are you in the cycle? At any given moment, you should occupy two positions—that of helper and helpee. Are you letting God surround you with helpers? Who are you leaning on? Are you letting Him use you to bless someone else? Who are you helping? Writing must be a give-and-take, a community effort. Because the body extends beyond the walls of our church. As a publicist, I get a “bird’s-eye view” so to speak of marketing and sales. Or more like the “fly on the wall” perspective. I spend a great deal of time watching my clients’ sales, listening to bloggers and readers, and gauging marketability. Some clients soar while others trudge up hill, and often, after putting in the same amount of work. Authors with a larger following earn more sales. 1) They’ve earned name recognition. This is HUGE. If you’re an unknown, you haven’t earned reader trust. For nonfiction, this can easily break a marketing campaign. Evangelical readers are cautious about what material they allow to fill their minds, and rightly so. With so many contradictory messages out there and so many books to choose from, they’d prefer to read works from authors they know and trust. 2) They know how to blog and utilize social media. This isn’t hard, but it’s a learning curve. An important one! Successful authors live on Facebook and Twitter (still the two most effective social media sites, in my opinion) and know how to blog. They know how to make these important tools work for them. As a result, they consistently draw new readers from Google and social media sites. For example, on my personal website, each day I receive perhaps 20% of my page views from people looking for information via search engines. Stop and think about this for a minute. That’s a 20% increase for the same amount of work. It also guarantees views on the days I don’t post new content. So, in essence, my site continues to work for me even when I don’t. Facebook brings me an additional 20-30% of my views, and often from posts that have been “reshared”. Again, this is a large increase for the same amount of work. And I don’t just post to my own wall. If I write something applicable to moms, I post to women’s groups. If I write something I believe would benefit writers, I post to writing and reviewing groups. I interact with other readers and writers on FB, and as a result, receive friend invites daily. This is a free and easy way to increase my networking contacts. **But please, don’t spam! Posting your author page and links to your books on other people’s wall makes you look bad and irritates readers. Not a great way to get sales. When posting a link, make sure it’s of value to the people of the group or site you’re posting to. Keep it *others centered*. 3) They’ve stored a reservoir of blessings. Again, this is HUGE! Right now I have a client, Fay Lamb, that has spent perhaps a decade pouring into the lives of other authors. She leads a large critique group where she consistently gives more than she receives. She’s mentored numerous writers, encourages others, prays for people. She’s the ACFW secretary. I could go on, but in a nutshell, her life is summed up in one word: servant. As a result, when her debut novel launched, bloggers were anxious to help her succeed. Even those who don’t normally host guest bloggers made exceptions. Why? Because she’d blessed them. For example, there are a few authors and editors who’ve blessed me in my journey. As a result, I write myself reminders to pop in on their FB wall to see if they’ve written a blog post I can reshare or have a release I can highlight. 4) They are creative thinkers. Effective marketers keep their readers and blog hosts in mind. They know how to spin a press release, post, interview, to fit the situation. This takes some creative thinking and forethought. Even a highly Christian work can get secular press space, if you know how to write it. When crafting a title, think in terms of sound bites. And remember, newspapers, bloggers, and magazines don’t care about you or your novel. They care about one thing: their readers. What does your article, press release, interview, or blog post offer their readers? There’s nothing more frustrating than having a client contact you days before a release. Reviewers often need six months or more to review a book, and quite frankly, reviews can make or break a sale. If a reader happens upon a post, follows the link to Amazon, and sees minimal reviews, they may be hesitant to buy the book. Especially if they don’t know the author. If, however, their are a large number of good reviews, they’ll be more apt to fork over cash. Many bloggers book months out. In addition, writing guest posts and answering interview questions take time. An author who wants a successful launch will begin working on launch details months in advance. They’ll schedule book launches prior to release date, will invite readers, will ask the press to cover it, and will have press releases ready. A press release really isn’t newsworthy if it’s offered months after a book or novel’s been released. According to a recent post written by best-selling author, Gina Holmes, when she launched Crossing Oceans, she spent up to four hours a DAY on marketing. And it paid off, with long-term benefits. Some authors spend a certain amount of time each day working on marketing. Others set aside one day per week. They participate in reading groups on Facebook and Goodreads. They post links to Facebook pages like Reviewers Roundup. They visit related blogs and leave fun or insightful comments. They continually build their contact list. They write articles for print media and send press releases and newsletter blurbs out. They pay attention to the interviews and reviews posted on or about other authors, follow the links, and make new connections. Basically, they continually find ways to expand their reach, beginning well before their book releases. What about you? What are you doing each day to actively increase your reach? Think you don’t have time? In my opinion, creating a marketing base is just as important as writing a great book. Be accessible, be visible, be intentional. How about if you choose one thing you can do this weekend? And share your thoughts and ideas with us! We’re all learning. Like iron sharpens iron, right? Writing Christian material, whether fiction or non, can be difficult. You want your writing to contain enough grit to keep it authentic without compromising on truth. You want non-Christians to relate, without presenting a watered down message. Each week, it seems, writers debate this very thing on countless email loops and FB walls. How much grit is too much? How much truth is too much? How can you speak truth and entice or are the two mutually exclusive? Join me at the Christian Fiction Online Magazine as I discuss this very thing, using insight gleaned from successful cross-over authors. Last night I finished a book I enjoyed despite long pages of tedium and an abundance of flashbacks. Halfway through, with numerous other books waiting on my Kindle, I asked myself why I kept reading. I skimmed over large sections, sometimes whole pages, (all totaled, maybe half the book) and yet, continued to the end. Rare for me, as I don’t have the patience to waste time on mediocre novels. The reason I kept reading despite the my page-skimming? The author planted a driving question I needed resolved. I was pretty certain I knew the answer. I’ve read enough predictable novels to expect predictability, but I was pleasurably surprised. In the end, the novelist not only answered my question, but in a way I’d never suspected. As you work on your novels, remember to plant questions in your readers’ minds. More importantly, make sure all those questions—those unknowns anchored at the end of scenes and chapters—point to a larger question, a driving question. It may make the difference between a sludge-pile novel and a best seller. Today wasn’t one of my best writing days. Although I hit my word count goal, I didn’t stagger away from my computer until near three. Since I normally start novel work by 7:30, that made for a long day. One with editing and publicity work still waiting to be conquered. In light of my rather murky muse, it’s no wonder I considered a major gear shift. In fact, as I puttered around the house, sweeping away the mountainous cobwebs that had gathered on more creative days, I plotted and planned another book entirely. And even convinced myself I needed to set my novel aside–the one I’m 45,000 words into and planned to have completed by the end of January–to start on a fresh book. Ah, a blank notebook, a blank screen, with ideas popcorn kernelling through my head. Tonight as I sat and evaluated my behaviors, I realized how easy it is to chase one idea after another. After all, a novel sounds so exciting when its first birthed. Not so much when you’re halfway through, staring at a stack of notecards wondering if you’ll ever make it to *the end*. But if we keep sifting through ideas, we’ll end up with a lot of starts that sort of fizzle out. With anything, but especially with writing, there are times you’ve got to muddle through. Those great ideas can wait. Jot them down. Chew on them. Pray about them, then when you finish the project you’re on, go back to them. They’ll still be there, only now you’ll have a finished book behind you, giving you the confidence to push through when your muse decides to take another nap. I challenge you to make that a goal this year—to finish what you start. It doesn’t matter if it stinks. You can always rewrite it, or delete it. Shred it? Feed it to your puppy? Douse it in lighter fluid and have a winter bonfire? And your time won’t be wasted. No time spent writing ever is. You’ll have learned a little more while developing perseverance—grit, and you’ll have gained confidence. As an editor-for-hire working under Tiffany Colter, I see a lot of writing—good writing, beginning writing, and all stages in between. I’ve learned, most often, strong books and stories are but a few tweaks away. Today I’ll offer a few freebies—some snippets I share with paying clients—on how to take your writing from good to great. 1. Give your reader credit. As writers, we want to make sure our reader understands what we’re trying to say, catches the foreshadowing, correctly reads the intended emotion, so we slam them with an abundance of colorless words. Then we repeat the idea again. And again. And again. There’s nothing worse than reading something numerous times, even if it’s presented in a new way. Give your readers credit and expect them to pick up on your message the first time. Most of them will catch the frown, the shift, the narrowed eyes, the chill breeze, and will feel quite proud at having done so. For non-fiction, keep similar ideas lumped together and present them in a concise and clear manner. After each chapter, ask yourself: “What information or idea does this paragraph provide and have I already presented that in a previous chapter or section? If so, delete. (Starting with an outline is imperative!) When writing chapter summaries, remember you’ve already sufficiently expanded on the idea. Now’s not the time to rephrase everything, but instead, to breifly recap key points. This applies to big-picture content as well as words and phrases. Avoid clichés and find unique ways to phrase things instead. I’ve read about enough stomach flutters and racing pulses to give me a migraine. The occasional stomach upset is okay, but skilled writers go beyond the common descriptions, perusing psychological sites and body language books to find other equally telling, less clichéd physiological responses. Speaking of originality, take the time to add unexpected twists to your books or novels. Scan your local newspaper, stalk your neighbors—whatever you need to do to move out of the Sunday School classroom into an area not yet explored. And keep me guessing. If I know what you’re going to say or how the conflict will resolve before I finish the book, why do I need to finish it? This can be difficult for novel writers. When crafting a novel, the writer needs to move the story toward an emotionally satisfying ending. But you still need to keep the reader guessing. As your hero and heroine move toward happily-ever-after, throw a few obstacles in their way. Create a reader expectation, then flip things. Give them a reason to turn that next page…otherwise they won’t. 3. Address a felt need. This is true for novel and non-fiction writing. If you want people to talk about your books, articles, and blog posts (i.e., if you want to generate a book-selling buzz), you need to hit readers where it counts—at their heart. What do people long for and how can you bring that into your writing? For fiction, it’s often best to have one of your main characters struggle with that need. For example, your hero could be nearing a mid-life crisis. What does he need? Purpose? A dream to believe in? Something to live for? Or perhaps your heroine is lonely, or lugging around baggage and longing for freedom. But again, don’t slam your reader over the head with this. “Jane longed for freedom from the emotional scars plaguing her….” Gag! Instead, weave hints throughout your novel, perhaps a glance toward a fun-loving couple, a tear after reading an emotive poem, a sifting through old mementoes. And remember, you’ve got an entire novel to introduce your characters to your readers. By itself, each clue may seem insignificant, but over the course of a story, they paint a vivid picture. Be creative and contemplative, asking yourself what events, scenes, or objects can convey whatever emotion or need you’re trying to express. For non-fiction writing, there are two ways to address a felt need. You can either tell your story, including your struggles and lessons learned along the way, or you can create a point-by-point informative book that presents a problem (loneliness, fear, anxiety, depression) then provides step-by-step solutions or aids. Regardless, the information presented needs to have value *to the reader*. It needs to move beyond a personal life history essay, because honestly, unless your Steven Curtis Chapman or Michael Jordan, no one cares. 4. Connect the dots for your reader. You’ve got a story to tell, one you believe can inspire and encourage others, one with significant meaning to you. Unless you find ways to connect your readers, to show them how your story relates to their life, your account will be little more than a “What I did last summer” essay. Boring! This points back to that *felt need* and requires a bit of work—of knowing your audience. 5. Make sure every word packs a punch. The best writing is clear and concise. Why take two paragraphs to state something that can be said in one? Why use ten words when five will do? For example, spoke softly can become whispered. Nodded her head simply nodded. Do we need to know a smile “graced her lips”? Where else would a smile appear? On her foot? Speaking of clarity, whenever possible, use words that evoke images or stir emotions. For example, don’t tell us he sat in the shade of the tree. Name the tree so we can see it. Don’t tell us her perfume smelled sweet. Describe the scent so we can smell it. The young child you describe resting in his mother’s arms, is he a toddler or an infant? In a nutshell, great writing takes work, knowledge, and perseverance. Select each word, each plot or idea, carefully, and take the time to get to know your reader. Address a felt need and do so with creativity, immersing your reader in your book and giving them every reason to turn that next page. Doing so will add punch and emotive value to your work which in turn will create a loyal readership. **Let me help you. Because I’m in the Christmas spirit, I’m offering free one chapter critiques. To claim your *gift*, simply leave a comment or subscribe to this blog. The CWG Writing For the Soul Conference is Almost Here! It’s barely into December and I’ve already begun to plan for the 2011 CWG Writers’ conference. Honestly, I started saving and planning last February, the day I left last year’s conference. I’ve come to realize I’m a conference junkie. Although I’d love to go to every conference available, there are two I’m particularly fond of: The CWG Writing for the Soul (in Denver, Feb, 2011) and the ACFW conference. And it’s not just because of the excellent teaching, although that’s great, too. For me, it’s like reuniting with family, spending time people who get me. If you’re a writer, you know exactly what I mean. Sitting in a room with other writers, it’s so refreshing to know I’m not the only one who spends hours talking to imaginary people, living in imaginary worlds, and pacing my office as I act out potential scenes. (If you catch me arguing with myself, just nod and smile, and perhaps say a prayer that it won’t turn too violent.) Yes, other people stalk their neighbors, mailman, grocery clerk, in-laws, and spend hours on the internet researching everything from painless, odorless poisons to the popular names in the 1860’s. It’s also a time to be encouraged and refreshed. Sitting alone in my office day after day, sifting through heavy-handed critiques and fatal plot holes, it’s easy to get discouraged. There’s nothing like spending time with others who’ve “been there, done that” to help get me back on track. Most of all, it’s a spiritual retreat where I get to connect with, laugh with, pray with others who have given their lives to write for Christ. That’s my favorite part of all. Last year as I listened to Brandylin Collins share a message on how God would perfect the plans He has for me, or when I soaked up Liz Curtis Higgs’ message on digging deep to find *my* story, and as I looked around at all the other hope-filled faces, it struck me. I was sitting in a room full of people who longed more than anything to worship Christ with everything they had. And it was beautiful. A room full of hearts surrendered to God, ready to do His will, whether that meant writing a devotional, an article, a novel, or a nonfiction. This year I’m looking forward to another chance to learn, grow, and connect. And of course, I’ll come prepared to pitch a novel or two. How about you? Wanna join me? Come with me to the CWG blog as I share some tips on ways to increase your chance of success as you *gulp* pitch your novel. I happened upon today’s post a few weeks back and loved it so much, I asked the authors of Writing Sisters Blog if I could repost it here. Not only do I love the message, but I love the fact that these ladies are sisters. Last May my sister, a social worker with extensive experience with troubled families and teens, joined the Christ to the World Contemporary Youth Writing Team. In fact, she recently completed her second Hear the Word Study and did a marvelous job. I know the Writing Sisters would agree, there’s something special about writing with a sibling. As I grow in my faith and as my writing efforts shift to Christian books I want to know the difference. How do I write as a follower of Jesus? What does Christ-centered writing look like? How can we write with Godly vision? How can we write with submission? Can we write with the spirit of submission to God? What difference would it make to start with submission, instead ending with submission. If I can submit the work to God first then the fear of submitting to man disappears. May I write today with Godly vision and submission. 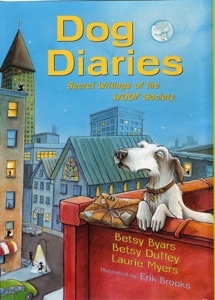 Writing Sisters, Laurie Myers and Betsy Duffey, have been writing for children for over twenty years, publishing with Viking, Clarion, Simon & Schuster, Henry Holt and Harper Collins. They had published over thirty-five chapter books for children and have had books on master lists in over twenty states. 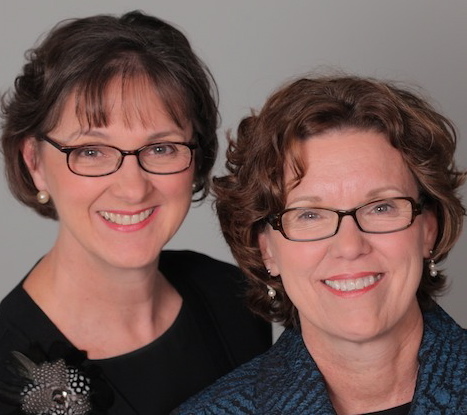 Laurie and Betsy are now focused on writing Bible stories in fresh ways for the chapter book audience.